By Mustaza Mustafa in Internet. Updated on April 9, 2018 . 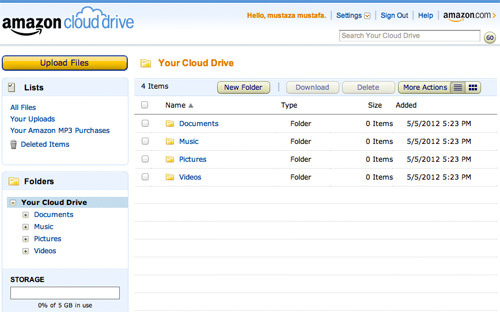 Amazon Cloud Drive has released its first desktop app, only a few days after the announcement of Google Drive. As you may already know, Amazon has been giving 5GB of free storage since a year ago, but there’s no app available to make Cloud Drive easier to use from the desktop unlike many other cloud storage apps that allow you to access and edit files directly from your file folder. The game has now changed. Amazon has released its desktop app, available for Mac and PC. There are only limited actions that can be done with the app, but it will surely make it easier for its users. 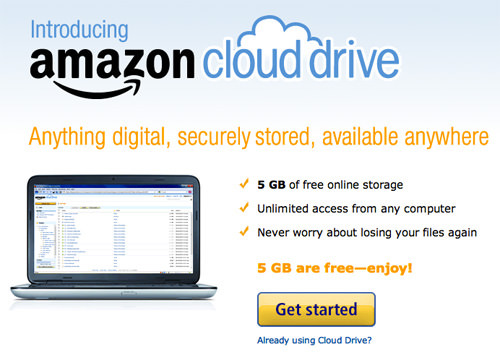 This article will guide you to get yourself familiar with the new Amazon Cloud Drive App and its limitations. 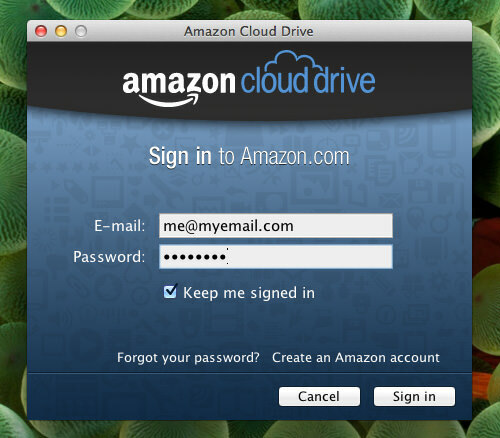 To try this out, first and foremost, go to the Amazon Cloud Drive website to register for an account. Go to the Amazon Cloud Drive App download page to download the app for your Mac or PC, click on the link Get the Desktop App. After the download is complete, open the file and proceed to install. If you are on Mac, drag the file to your Application folder as instructed. 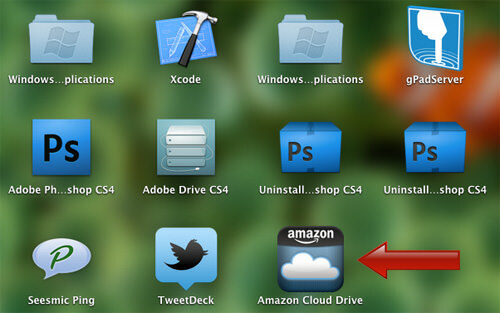 If Cloud Drive is not active yet, open your Launchpad and launch Amazon Cloud Drive. You will be prompted to sign in with your Amazon account, enter your details and click Sign in. After you signed in, there will be 4 quick tour windows, just click Next or Skip Tour. After installation, you will see the Amazon Cloud Drive icon at the system tray or menu bar, click on it to open your Cloud Drive. 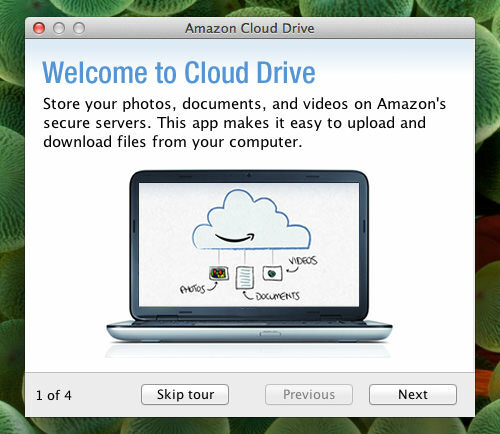 Unlike Dropbox or Google Drive, there will be no desktop folder for Amazon Cloud Drive. You can only open Cloud Drive via web browsers. To open your Cloud Drive, simply select Open Cloud Drive Website. Opening the link will direct you to the Cloud Drive website. Since this is your first installation, you will see four default folders created with no files in it. There are 2 ways you can upload a file to your Cloud Drive. 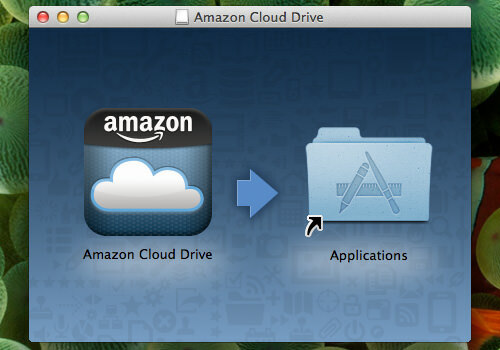 Drag and drop a file to the Cloud Drive icon. An upload will start and you will get a popup notification. Once the upload is complete, you will see a ‘check’ icon next to your Cloud Drive icon. Click on the Cloud Drive icon to check on your upload status. 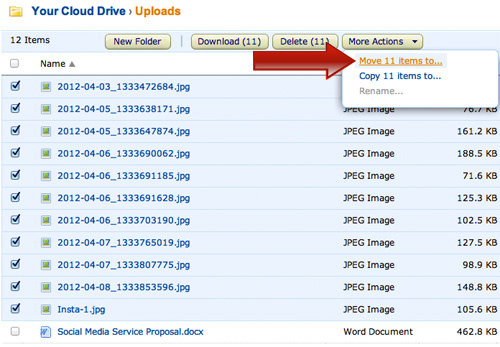 Alternatively, you can upload a file with right click then select the option Upload to Cloud Drive. To access your files from Cloud Drive, you will need to go to the Cloud Drive website where links can be found in the drop-down menu of your Cloud Drive icon. While some cloud storage, like Dropbox and Google Drive allow you to access your file directly from file folder and edit any files by simply opening it with relevant software, with Amazon Cloud Drive, you need to download the files first before you can open an edit. 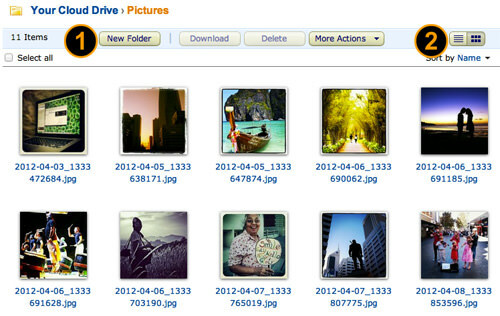 However if your files are images, you can preview directly from the Cloud Drive website. 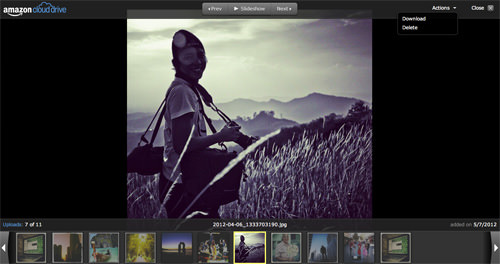 Click on the item and the preview gallery will open, with options to download or delete. By default, all uploaded files will be placed in one folder named ‘Uploads’. To move these files to different folder, select files by checking the box next to the file name, click drop-down menu More Actions and select Move items to. Now select to which folder you want to move the files to, and click Move items. To create a new folder in your Cloud Drive, simply click on New Folder. To change file view between list and thumbnail, click on your choice at the top right corner of the page. 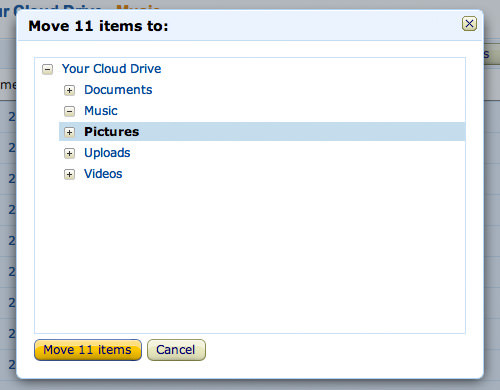 Overall, There is only limited access to your Amazon Cloud Drive App since file folder integration is not provided. All changes, access and downloads must be done over the Web. In other words, you will require high bandwidth to play around with Cloud Drive since you can’t edit files offline then upload it when you get connected to the Internet. Have you given it a shot? Let us know what you think of it.